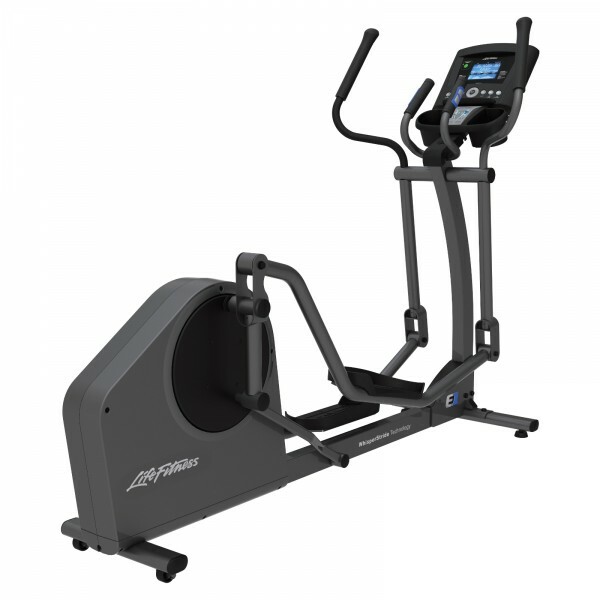 The E1 Go is the starter model of the first-grade Life Fitness elliptical cross trainer. It offers a very comfortable, natural movement and thanks to WhisperStride, the Life Fitness elliptical cross trainer E1 Go is extremely silent. The Life Fitness elliptical cross trainer E1 Go is the successor of the Fit for Fun elliptical cross trainer test winner X1 Go (11/2013). It offers the same fantastic training features like its predecessor. 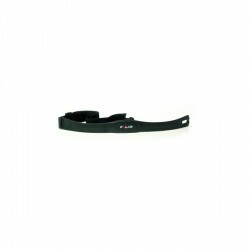 It includes the very soft and natural movement ensured by a very low pedal space and the long, flat elliptical movement. The narrow foot position is very natural and false movements in the hip are avoided - the movement corresponds to the natural walk. No matter at which intensity you do your exercises on the crosstrainer, thanks to the patented WhisperStride technology of Life Fitness, the workout always remains smooth and silent. The self-aligning joint construction is responsible for it. Hihg-quality ball bearings provide the concentric run and the crosstrainer is so quiet that you can use it in every room and nobody feels disturbed – neither for reading nor for watching tv. All Life Fitness training machines, equipped with the Go console, feature an easy, comfortable control. 13 programs are available for you on the Go console; besides classic programs, 5 heart rate programs are included. These control the intensity, so your workout becomes more effective. The appropriate chest strap is already included in delivery. Choosing programs is quickly done, because the menu control is very intuitive. All data are clearly indicated on the LCD display of 10 x 15 cm. We recommend the fitness equipment with Track console for even more programs and user profiles. It offers more diversion and can be connected with many Android and iOS compatible devices. Life Fitness elliptical cross trainer E1 Go add to comparison list.